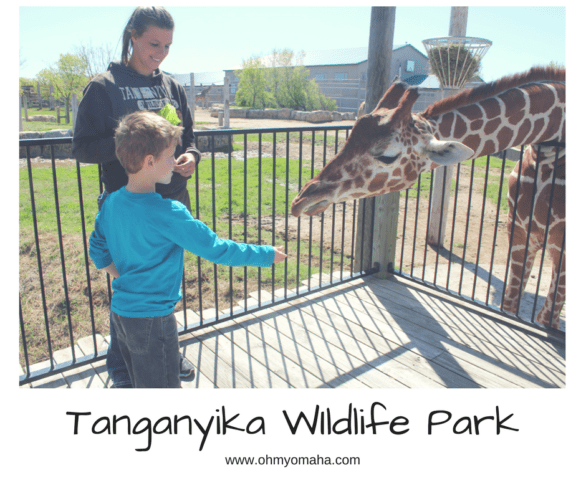 The most memorable afternoon in Wichita for us was spent at Tanganyika Wildlife Park (which is technically not in Wichita, but close enough). Tanganyika is more than a zoo; it specializes encounters that create lasting connections for people to the animals they see. 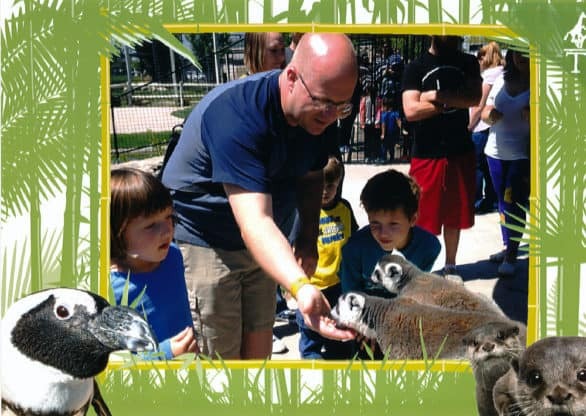 Disclosure: Our fun adventure at Tanganyika was part of our Great Wichita Weekend. Our trip was hosted by Visit Wichita. 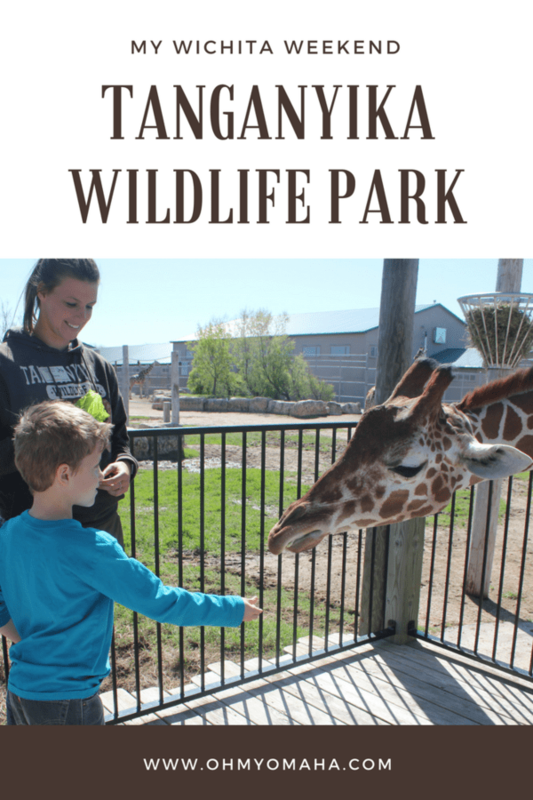 I received complimentary admission to Tanganyika Wildlife Park so that I could tell you about it. All thoughts, opinions, and typos are my own. 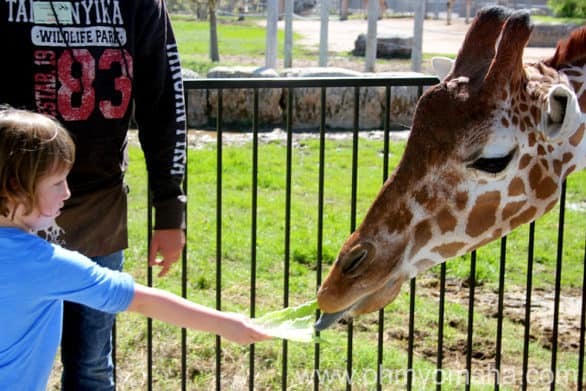 An animal keeper told us about the giraffe herd of 12 giraffes at Tanganyika Wildlife Park as we fed lettuce to one. There are traditional zoo-like exhibits of animals like otter and penguins, as well as 10 encounters on the map to seek out. Encounters meant interaction of some sort with an animal. 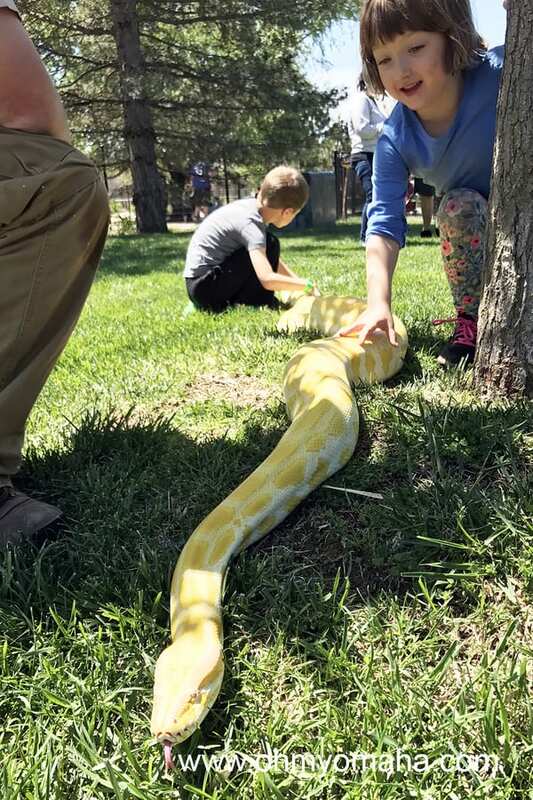 On the day we visited, there were also pop-up opportunities to meet and learn about animals as varied as a Burmese python, ferret, and rat. The kids loved touching the Burmese python. Tanganyika Wildlife Park is not a zoo; it’s a privately-run business. It helps knowing this so you’re not expecting an experience like a zoo (especially if you’re used to the Omaha zoo). No doubt the owners love animals and care deeply about educating people about them. The idea is that if people connect with these rare animals, they will make the effort to help ensure their survival. Fun fact: Tanganyika was once an African country. The nation of Tanganyika joined with Zanzibar to form Tanzania in 1964. When you purchase your admission pass, you can opt for one of three levels of animal encounters. The general admission pass gets you one animal encounter of your choice. The next level allows five encounters. Then there’s the all-access pass, which means 10 animal encounters. One animal encounter can be a camel ride. There’s also the option of purchasing coins to use for more encounters. I tell you this so you can plan ahead to see if you want do all or some of the encounters. Honestly, getting the band with five encounters would have worked for my family, but that’s because we lingered with bunnies for ages. The single encounter would not have cut it, though. The all-access would be great if you had kids that aren’t nervous about huge creatures. My 5-year-old kept going back to feed the bunnies and guinea pigs. Never mind the chance to be close to exotic animals. This was more of her speed. 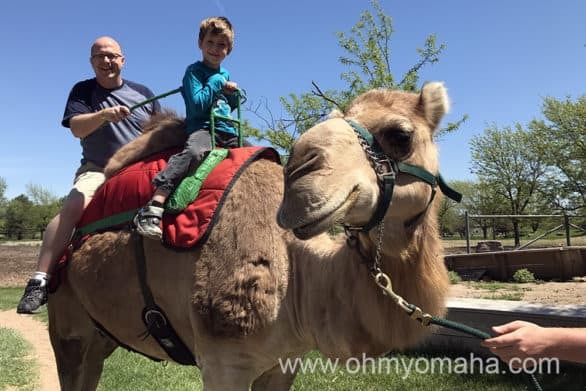 When we arrived, all my daughter wanted to do was ride a camel. It may have been what she was looking forward to, but it didn’t turn out to be her favorite experience. It wasn’t a bad one, but it just couldn’t compete with some other unique opportunities. By far, the most memorable encounter for me was the behind-the-scenes tour of the okapi area. The wildlife park just started these tours, and we were among the first. It was so so cool. The okapi keeper, Alexi, told us about the species plight in the wild and how they are quite rare to find in captivity in the United States due to some of their habitat requirements. 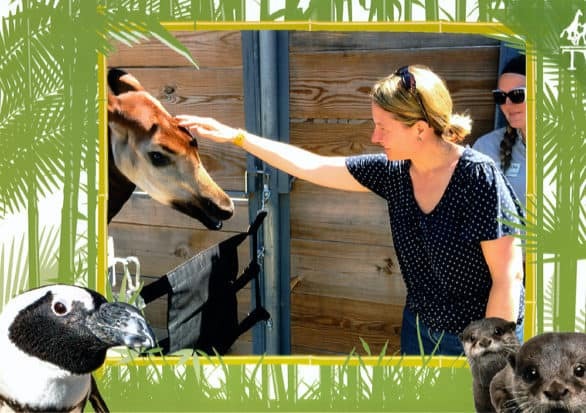 I learned a lot about okapi while on a behind-the-scenes tour at Tanganyika Wildlife Park. During our tour, we got to greet the friendly resident okapi, who didn’t mind nibbling on lettuce we fed him. He wasn’t so enthusiastic about us petting him, but he tolerated it for his reward of crispy lettuce. We got to ask questions, and learned a ton. I enjoyed feeding other exotic wildlife, including a giraffe and some greedy little lemurs. My kids felt the most comfortable feeding the less exotic rabbits and guinea pigs. There, they could crouch among the fuzzy creatures for as long as they wanted, petting them for as long as the animal tolerated. 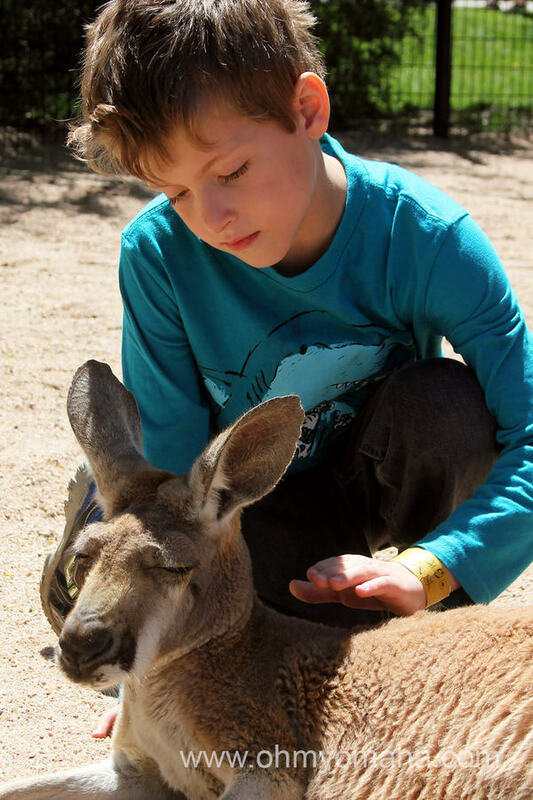 My son gently petting a resting kangaroo at Tanganyika Wildlife Park near Wichita. 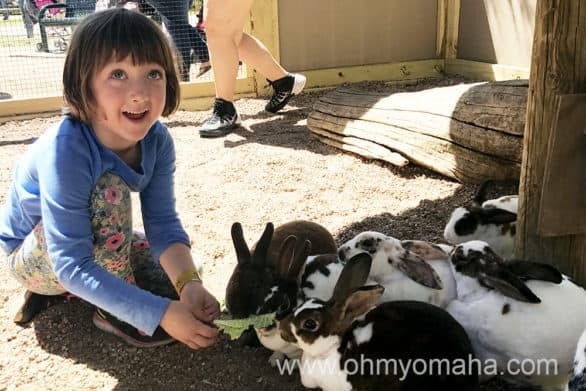 The chance to pet animals ended up being what my kids enjoyed most. They were able to pet resting kangaroos, for instance. Unexpected was the opportunity to help one kangaroo paint. I wasn’t really interested in paying extra for the artwork but I think the kids will get a lot of mileage sharing that story with their friends back home. 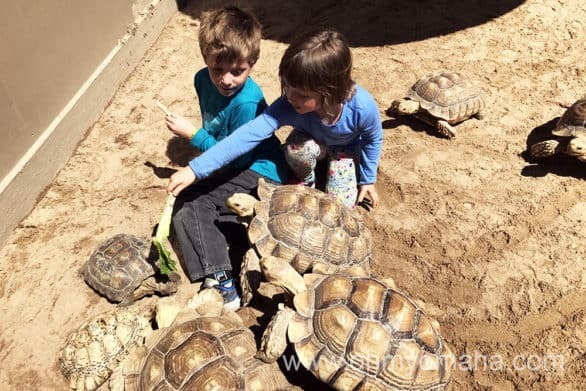 My kids did not move fast enough to get out of the way of a stampede of tortoises…or maybe my daughter is purposely trying to lead the animals to walk over her brother. The least successful encounter, for us, was feeding the tortoises, who are faster and pushier than you’d expect. The lorikeet feeding ended in tears for one of my kids, who got nipped by one of the birds. You’ll want to bring your camera on your visit. There’s a lot to see and so many cute photo opportunities. 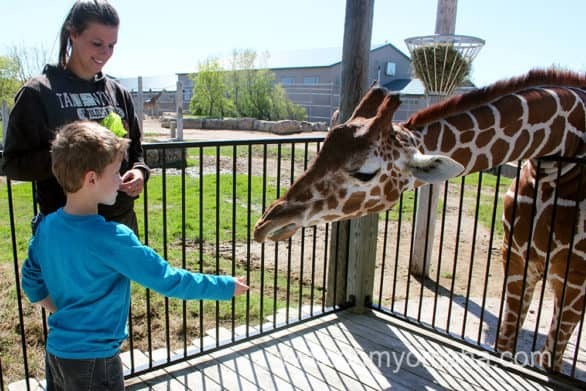 My son feeding a giraffe is one of an animal encounters at Tanganyika Wildlife Park near Wichita. There were two times that you couldn’t take your own pictures: The okapi encounter and the ring-tailed lemur feeding. The staff member at the encounter took those pictures. Mr. Wonderful and the kids feeding craisins to lemurs. The rule was you couldn’t touch the lemurs but they may reach out to touch you. If you had an all-access pass, one photo was included, so that was good. I definitely wanted photos to remember the experience. My quibbles about photo service though: I think the wildlife park could benefit from professional photographers on hand snapping the pictures and a better process in place when you go to pick up your pictures. Where: 1000 S. Hawkins Lane, Goddard, Kan. When: Park hours vary, but it’s open generally Mid-March to Mid-November. Check hours here. Cost: For children (ages 3-11), expect to pay $14.99 for 1 encounter on up to the all-access pass (10 encounters) for $34.99. Children younger than 2 are admitted FREE. Adults pay between $19.99 and $39.99. This is also a senior discount. 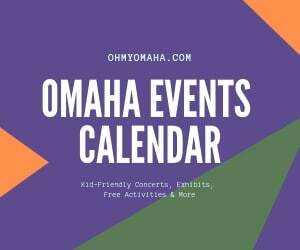 Want to start planning a Great Wichita Weekend? 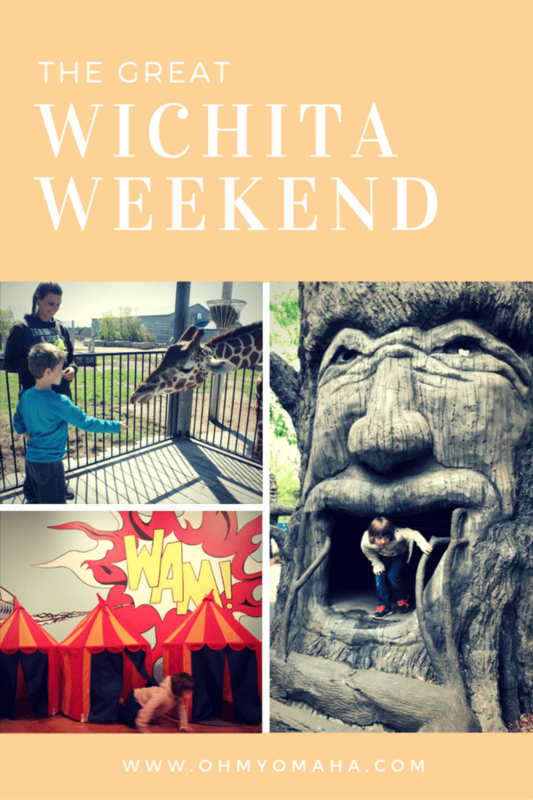 For even more ideas for family fun in Wichita, check out my Pinterest Board. 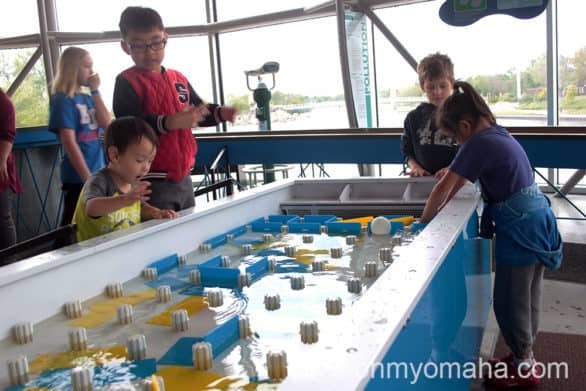 Exploration Place is a fun science center on the river in Wichita, Kan. We had a whirlwind visit to Wichita this spring, and since we were traveling with two kids, it made sense to plan a stop there. How could we skip a three-story castle, an aviation room and the only place I’ve ever visited that had a dedicated game for poop (more on that in a second)? Disclosure: My family received complimentary passes to the science center so I can tell you about it. Our whole weekend was hosted by Visit Wichita. 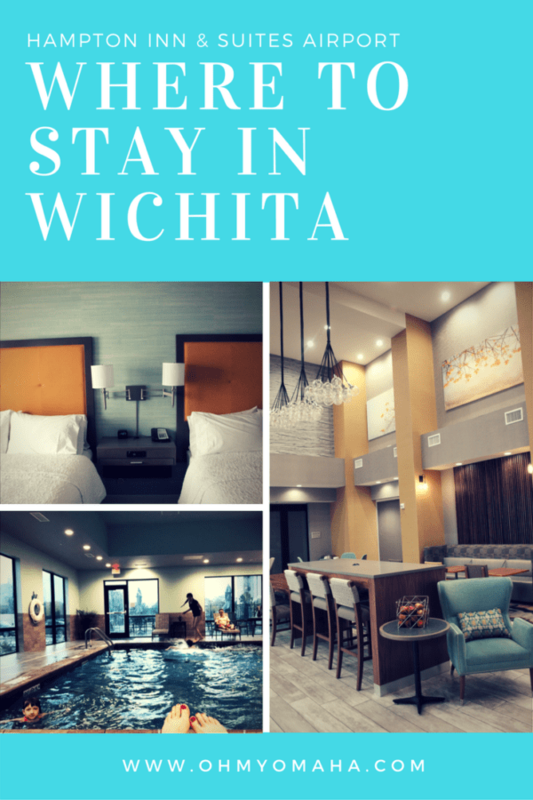 Visit the Visit Wichita website to get some great ideas for a trip (or keep reading to find out more about the cool things we did there!). We couldn’t even get passed the lobby at Exploration Place without my kids getting drawn into something that intrigued them. This science center is going to appeal more to grade schoolers and older kids (and adults), than really little ones, though there was plenty to do for my 5-year-old. There’s even a dedicated space for preschoolers. There is a mix of permanent exhibits and traveling exhibits. We were there when the temporary exhibits involved dinosaurs in one space and Vietnam in another. One of the current traveling exhibits is called Hall of Heroes and a new one coming up in 2018 is called The Science of Saving. The whole museum/science center is geared toward youth, but adults are not discouraged from trying things out too. The Kansas in Miniature exhibit at Exploration Place in Wichita. 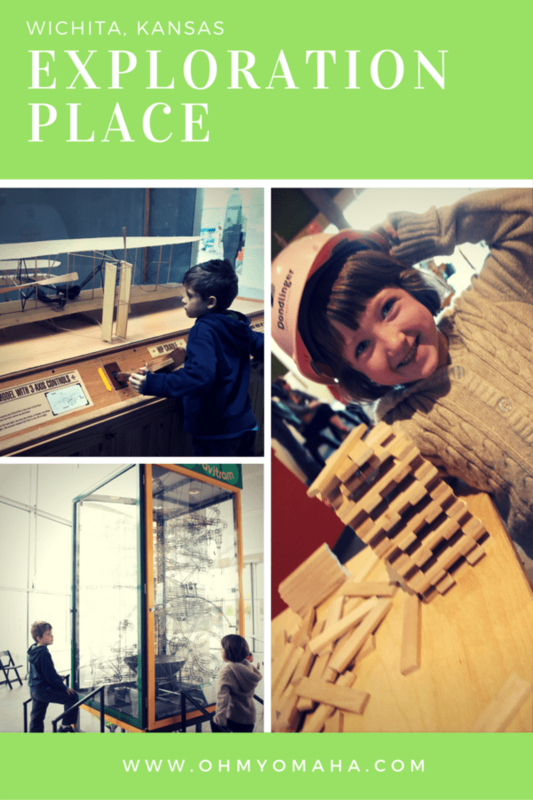 There are 13 permanent exhibits at Exploration Place! Some of the ones we found particularly memorable include Creator Space and Exploring Flight & Design. I particularly liked playing with a plane propeller, making a shimmering design in on a wall of shiny discs in the flight exhibit. 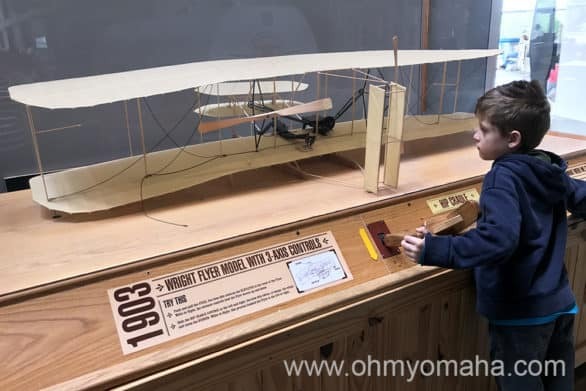 My son liked the flight Wright Brothers’ flight simulator. I didn’t get a good shot of it (it’s not what’s pictured below). 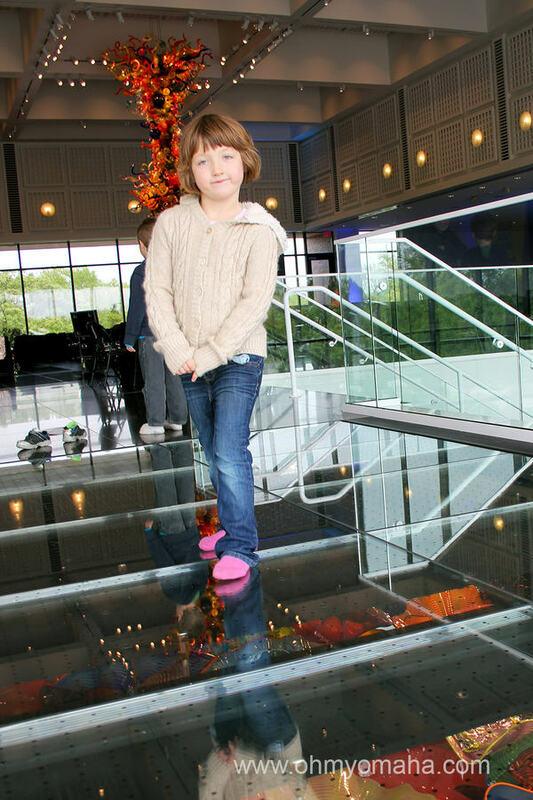 There are a lot of interactive areas in each permanent exhibit at Exploration Place, making it a must-visit attraction in Wichita for families visiting with children. The Explore Kansas room is newly renovated and such a neat space to visit. 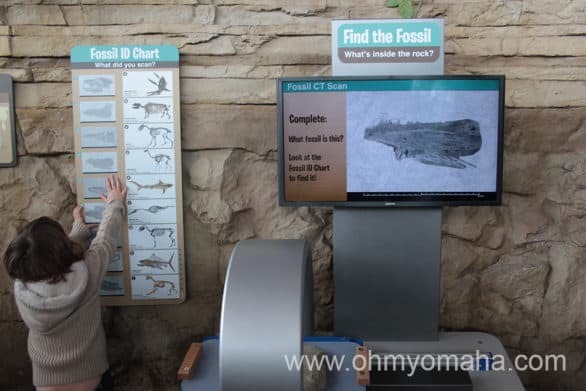 We liked playing with the fossil scanner. This fossil scanner was a neat machine to play with in the Kansas exhibit. Nearby, you’ll find that poop game I mentioned. You have to guess which animal pooped what. It’s gross. I can’t think of a room kids won’t like there. My daughter spent more than half our time playing in the castle space called Where Kids Rule. It’s an impressive and immersive space, and I don’t blame her for wanting to stay there. 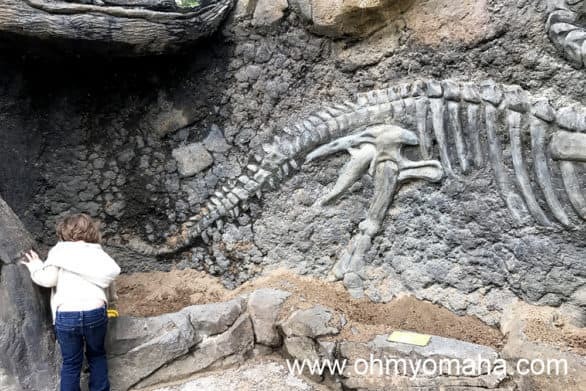 It’s a permanent exhibit, so you will get to check it out if you plan on visiting! My son enjoyed building in the KEVA wooden plank space and stepping into a tornado in the new Explore Kansas exhibit. 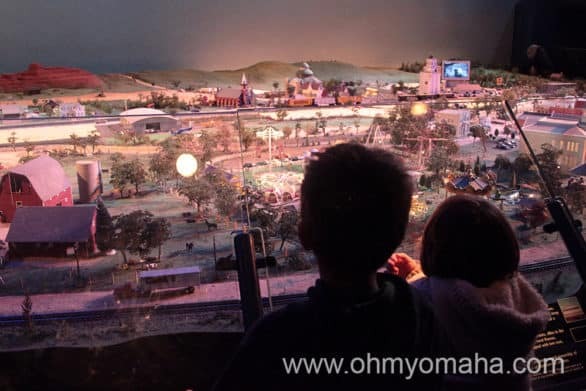 I also recommend checking out the miniature train room – it’s crazy huge. 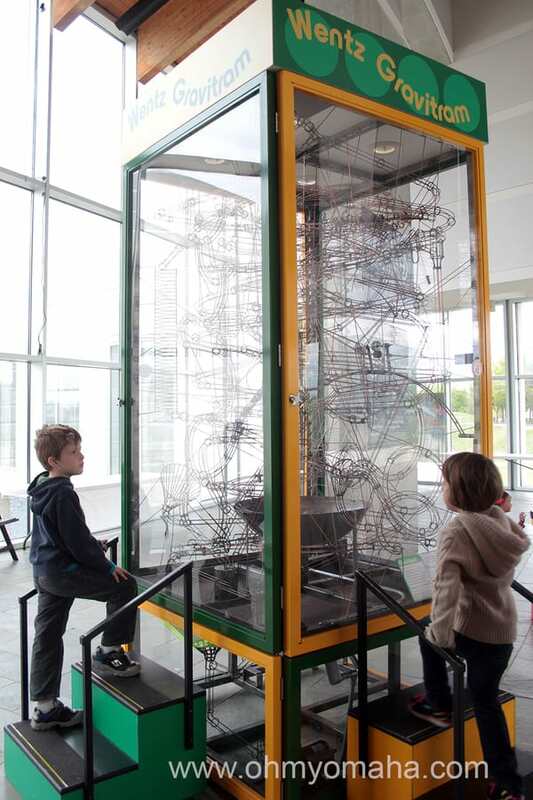 There are so many places to explore at Exploration Place, you need to allow a couple hours to see it all. – Check out the schedule of traveling exhibits to see what will be open when you visit. – You can easily spend a couple hours here. I’d expect to spend about two hours here if you didn’t allow your child to linger in a spot for too long (good luck with that). We were a little rushed trying to see it all before my kids got tired for a nap. We had to skip the mini golf area, which is included with admission. Where: 300 N. McLean Blvd., Wichita, Kan. Hours: Until Labor Day 2017: Monday through Saturday, 10 a.m. to 5 p.m. (closed Mondays in the winter), and Sunday, noon to 5 p.m. Check the times if you plan on visiting after Labor Day. The museum is closed on Thanksgiving and Christmas. 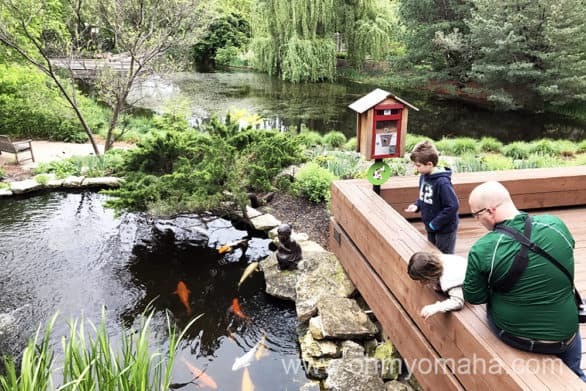 I’ve been sharing a lot of great stories about my family’s fun adventure in Wichita lately, including some kid-approved restaurants in Wichita and the coolest children’s garden ever. What needs to be shared is where to stay in Wichita when you want to do all this stuff. Which Wichita hotel worked for our needs? 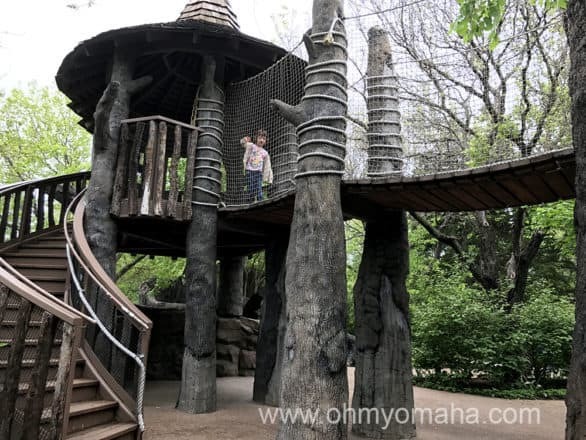 We needed a place to stay that was between the Wichita attractions I had wanted to visit, especially Tanganyika Wildlife Park (which is actually outside of Wichita pretty much near nothing else) and all the great stuff in downtown Wichita. 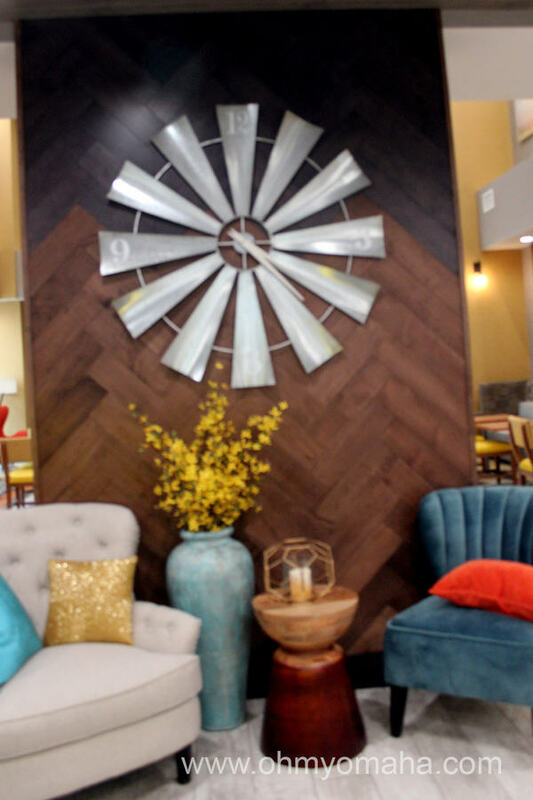 So, with the smart thinking of the folks at Visit Wichita (who hosted this trip), we were set up at one of the newest hotels in the city, Hampton Inn & Suites Wichita Airport. 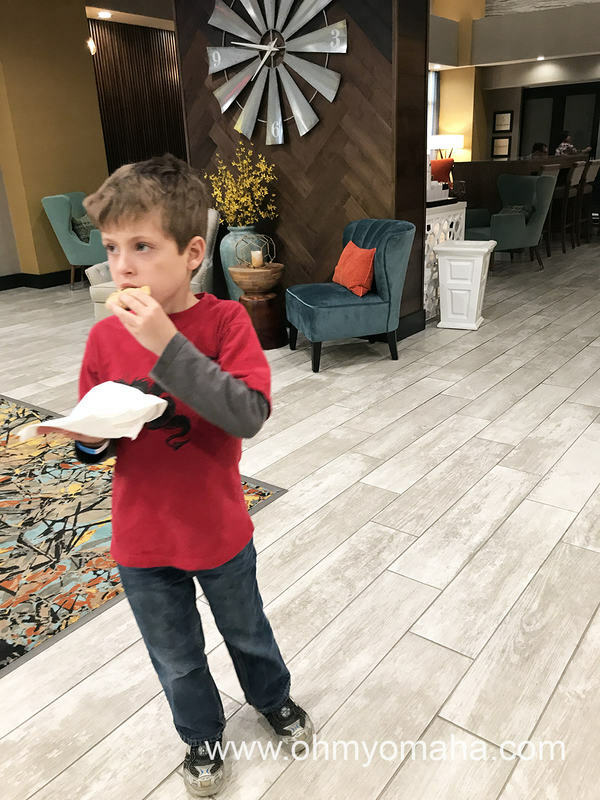 This Wichita Hampton Inn checks most things off my family travel checklist for hotels: Pool, free hot breakfast, comfy beds (plus, the obvious, unspoken requirements like safe, clean, up-to-date). All there. 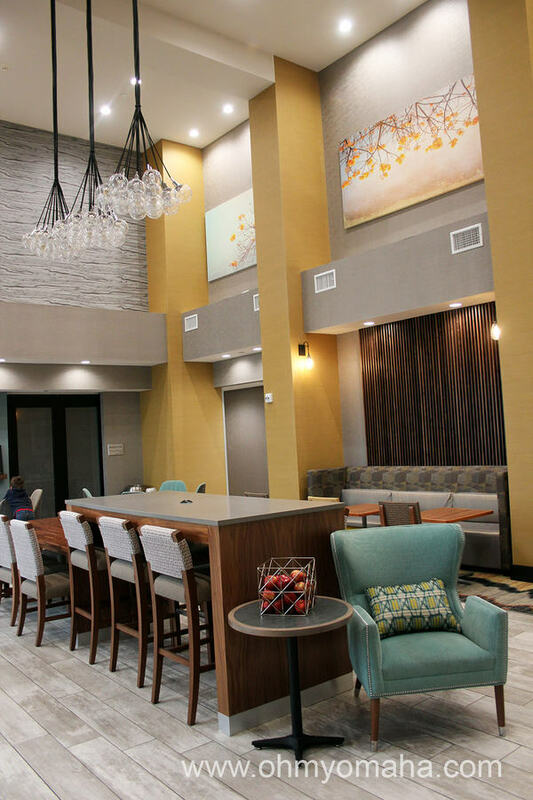 The seating area near the front desk at the Hampton Inn & Suites near the Wichita airport. Let’s talk about the rooms. The beds in this Hampton Inn are incredibly comfortable. Hampton Inns are under the Hilton brand, and I’ve never stayed at a Hilton brand hotel that had terrible beds. Their beds are like pillowy clouds. After full days of activities, these beds were a welcomed sight. Comfy queen beds at the Hampton Inn & Suites near the Wichita Airport. The rest of the room is pretty hotel typical with a cool, modern look: Small fridge (very helpful for families), desk, large TV, and a nice bathroom with hotel toiletries included. The view isn’t much, but I wasn’t expecting one being near an airport. The hotel pool is a rectangle pool that isn’t too deep. While the kids played, I was able to watch comfortably from a pool chair. The seating in the pool area was surprisingly comfy. Not much makes the pool at the Hampton Inn & Suites standout, but kids don’t seem to care about the details. The lobby is modern and stylish, and off to the side there is a small snack shop with drinks available for purchase. If you ask nicely, the front desk staff will give you a free bottle of water, so try that before purchasing one in the snack shop. 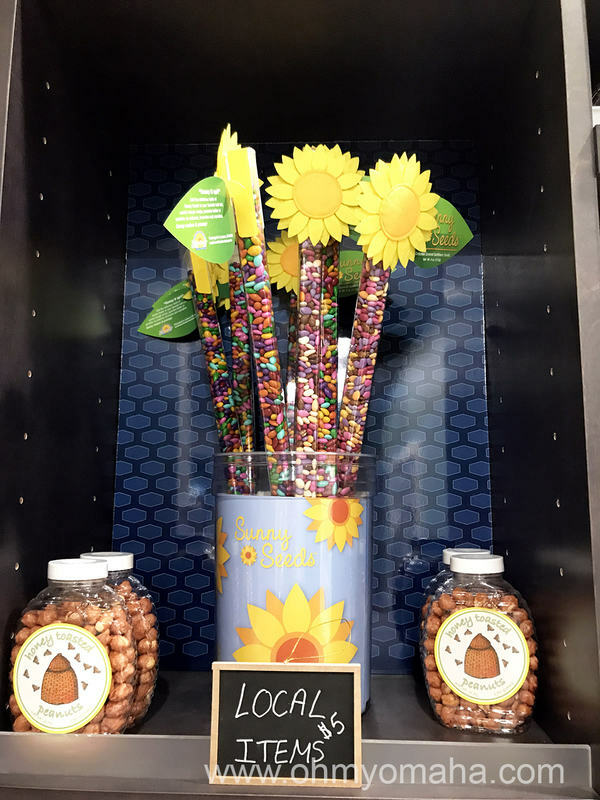 The little shop in the lobby of the Hampton Inn & Suites has locally-made treats like chocolate-covered sunflower seeds, as well as inexpensive gifts made in Kansas like Chicken Poop chapstick (not made with real chicken poop). In the dining area, you can find free hot water for tea and coffee. If you plan on running around as much as I did, that free caffeine boost is handy in the afternoon. Snacking on a free cookie from the front desk at the Hampton Inn. The breakfast at the Hampton Inn is better than average when it comes to complimentary breakfasts. There are hot food options, fresh fruit, a waffle maker, and various pastries and breads to choose from. The room where everyone eats breakfast looks great, doesn’t it? 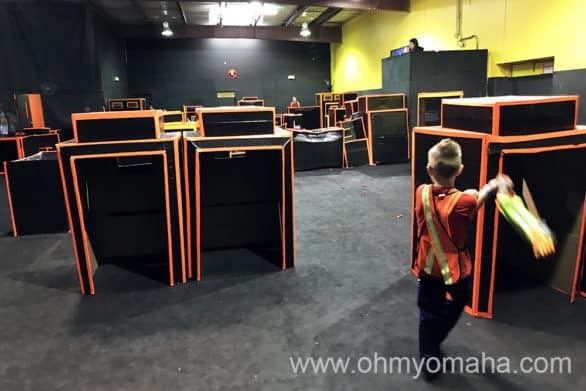 Dart Warz in Wichita is the love child of Nerf guns and paintball. Younger kids may not like the intensity of the games there, nor perhaps, older, slower grown-ups like myself. We’re just easy targets, guys. The downtown area is about 6 miles away, and that’s where most of Wichita’s best things to see with kids are located. I’ve been told most everything in Wichita is within a 10-mile drive, and I’ve found that to be true. Some of the places in downtown Wichita that may interest families include: Botanica Wichita, Exploration Place, Old Cowtown Museum, The Keeper of the Plains, Museum of World Treasures, and INTRUST Bank Arena. Further afield, you can drive to Tanganyika Wildlife Park (9 miles) or the Kansas Aviation Museum (11 miles). Could you find a Wichita hotel closer to these attractions? Of course, especially downtown. My daughter checking out the dining area at the Hampton Inn & Suites near the Wichita airport. To be honest, the kind of restaurants I was looking for — locally-owned restaurants — were not by our hotel. That meant, a lot of our dining was in downtown Wichita. I recommend making that 10-mile drive for tasty eats. The closest restaurant we dined at to this hotel was Delano Barbeque Co., which is about 5 miles away. 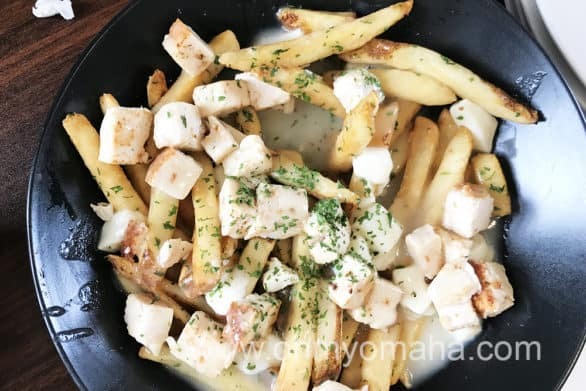 See all the Wichita restaurants we visited here. But, if you’re looking for nearby good eats, there are plenty of chains to choose from. Within about a mile of the hotel, you’ll find an Applebee’s, Outback Steakhouse, Denny’s, and an abundance of fast food options. 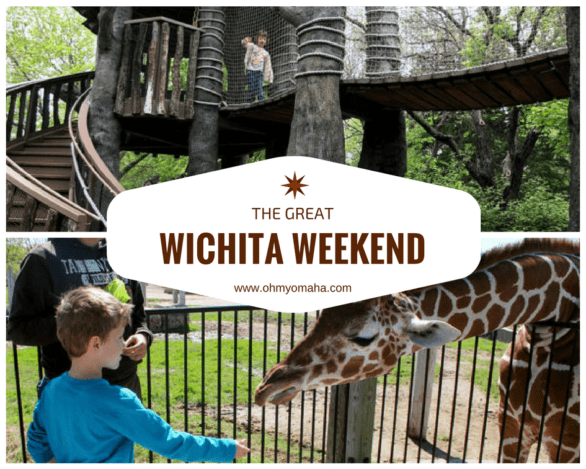 Want to start planning your own Great Wichita Weekend? 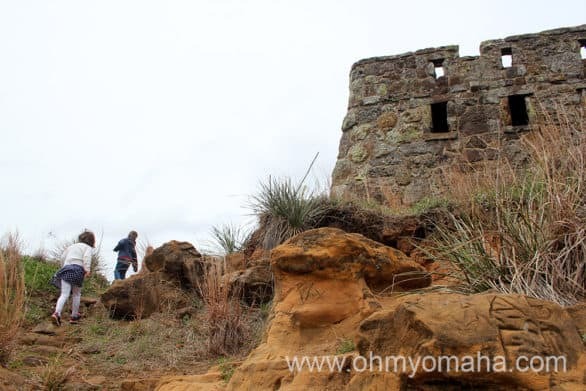 My family recently took an incredible weekend trip to Wichita, Kan. It was a lot of fun, and in between all our stops, we visited several fantastic, kid-friendly Wichita restaurants. A family’s got to eat, right? Here’s where we went during our trip to Wichita. 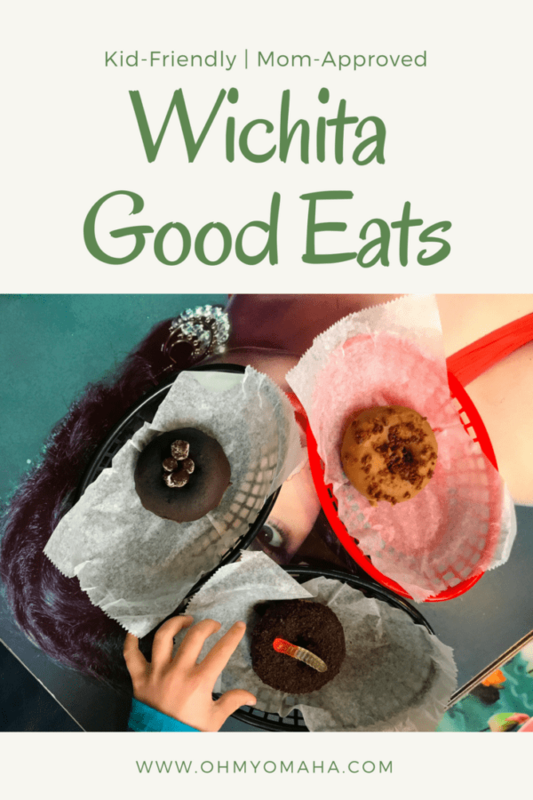 Our visit was hosted by Visit Wichita, and they helped us select some great spots to try. 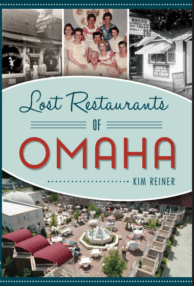 I was looking for kid-friendly Wichita restaurant that were locally-owned. The key was that they had to be kid-friendly, not kiddie… I wanted good food. 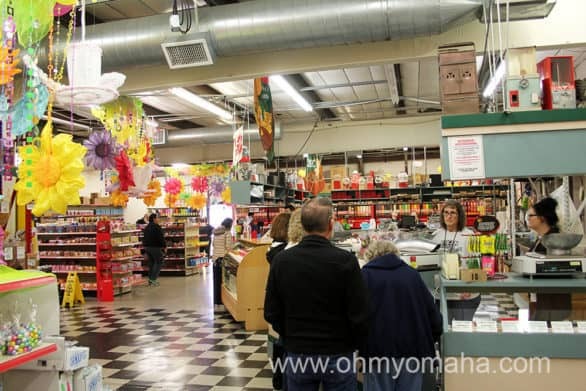 Old Mill Tasty Shop in downtown Wichita has been around since the 1930s. 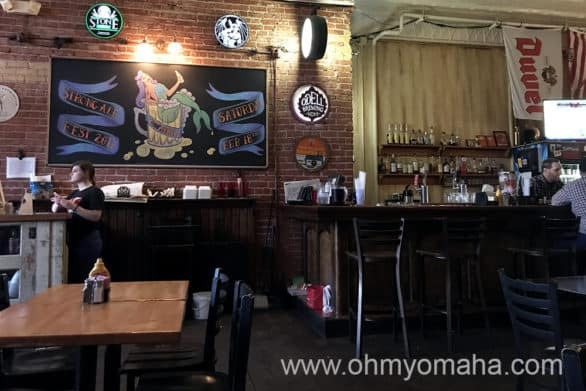 For lunch spot or a great place for a treat, is Old Mill Tasty Shop in downtown Wichita. This is a Wichita institution, which opened in the 1930s (the current owners bought it in the 1980s). Everyone – and I mean everyone – you ask will tell you to get the chicken salad, and I sampled it and it lives up to the hype. If you like chili, try the green chili there. My daughter making friends at Old Mill Tasty Shop’s soda fountain. 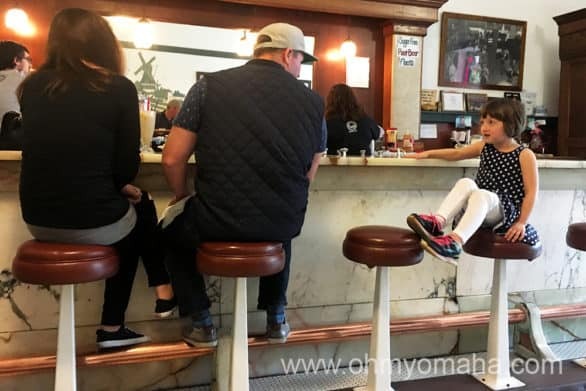 I went there and got a chocolate shake, made the old-fashioned way behind their old-fashioned soda fountain counter, and loved every drop…that my daughter hadn’t swiped from me while I wasn’t looking. 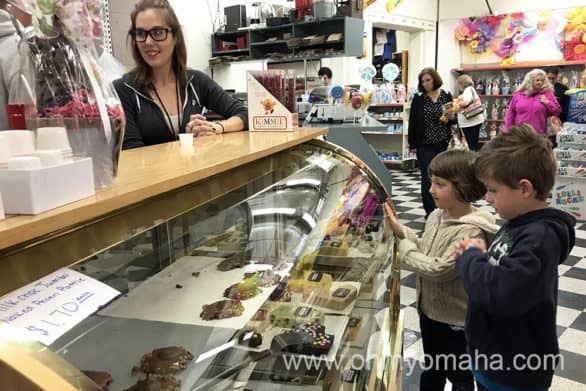 Order a hot fudge malt at Old Mill Tasty Shop. You won’t be disappointed. By the way, it’s right by Intrust Bank Arena, so if you have tickets to a show, it’s a great spot for before-show food. Old Mill is open for lunches during the week, and until 8 p.m. on Friday and Saturday. Note: Closed on Sundays. Nifty Nut House is the snack place to end all snack places. 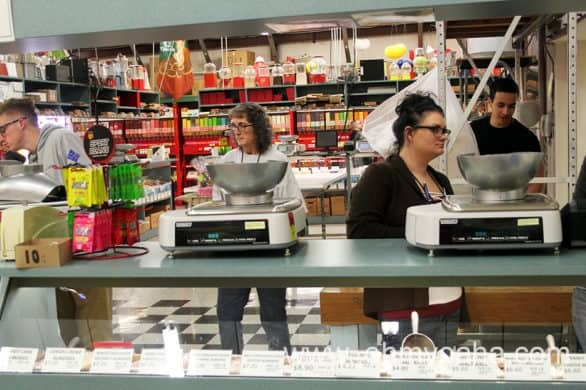 It got its start in 1937, and over time, it’s evolved into a wholesaler of nuts, dried fruit, snack mixes, gourmet chocolate, sugar-free items, and homemade fudge. 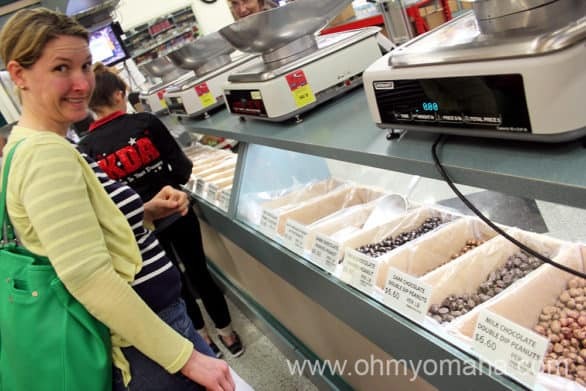 One of Nifty Nut House’s several counters of bulk foods you can buy (or sample if it’s hard to choose). You can find just about any candy brand you can dream of there, too. No photo can show how big Nifty Nut House is or how many candies, nuts, trail mixes and more you can find there. It’s a huge store, and one my food hero, Alton Brown, called “a national treasure.” Note: Closed on Sundays. I found my happy place at the Nifty Nut House. Like a kid in a candy shop. For breakfast to give your day a turbo charge of sugar, go to The Donut Whole. We were among several families there the morning we went. You can go as vanilla or as rainbow as you want when choosing a donut here. The popular flavor is maple bacon, which you gotta try. 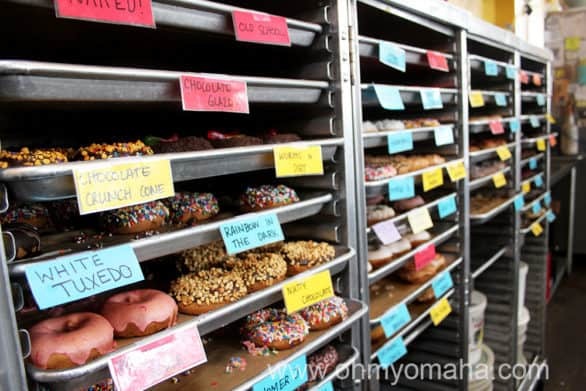 All donuts are made from scratch daily. There’s a wide assortment to choose from, and it is a tough choice. Cookie, candy, cereal…they’re all toppings here. They once had a Breaking Bad donut with blue rock candy on top. 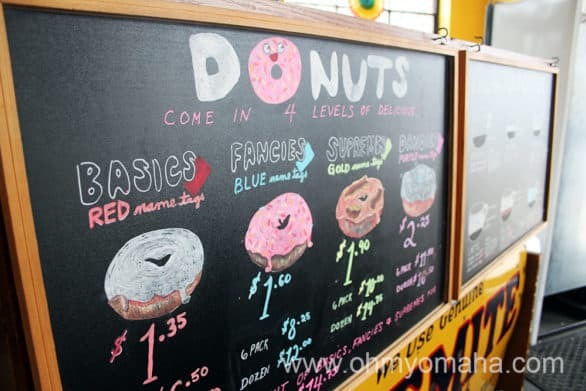 Pricing guide to The Donut Whole. The coffee’s pretty good here, plus free refills. If you want a more substantial breakfast, you can get a breakfast sandwich (made with donuts). If, for whatever reason, you’re up late, the drive-thru window is open 24 hours a day. 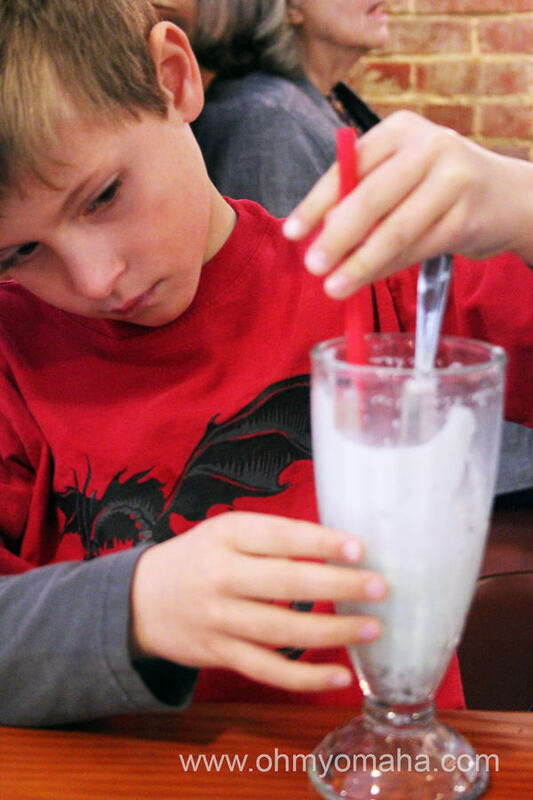 Doo Dah Diner is a dining hot spot in Wichita, and it has mastered the laid-back vibe. Everyone nods in approval if you tell them you plan to eat there. It’s good stuff. We went on a Sunday, which turns out is buffet-only, which may or may not be great for your family. If you go Wednesday through Saturday for breakfast, expect a wait. But at least you get to have free monkey bread in line (while it lasts…which is about ’til noon). You can watch your breakfast being made if you sit at the counter at Doo Dah Diner. I tried one of the buffet staples: Pork Belly and Grits, which got the thumbs up. You’ll also always find hashbrown casserole and smoked salmon on the buffet table every Sunday. You can also get some food made-to-order, including some benedicts and omelets. Going during the week? 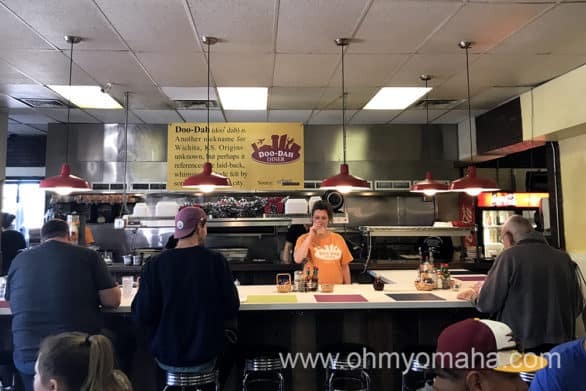 Timirie, co-owner of Doo Dah Diner, said the most popular things to order are Crab Cake Benedict, Chicken Fried Steak, Smothered Breakfast Burrito, Banana Bread French Toast (gluten free) and Corned Beef Hash. Hungry, yet? 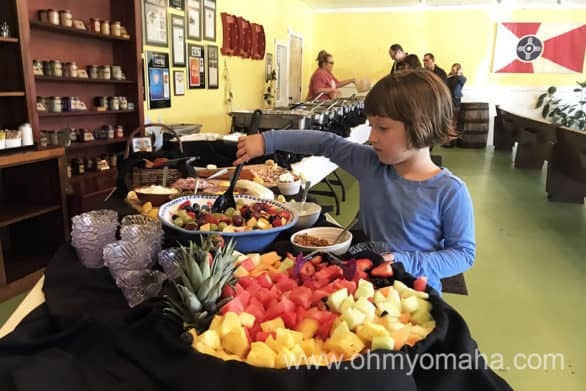 Doo Dah Diner’s Sunday brunch includes pork belly and hash, smoked salmon, and fresh fruit. The exterior of the diner doesn’t really hint to the fun decor inside. Think lots of colors and a mishmash of art on the walls. If you’re really hungry go to the historic Delano District for some barbecue at Delano Barbeque Co. It’s huge servings, even on the kid’s menu. And messy, because, well, barbecue. It’s on the quirky side for its Christmas lights. Note: Closed on Sundays. 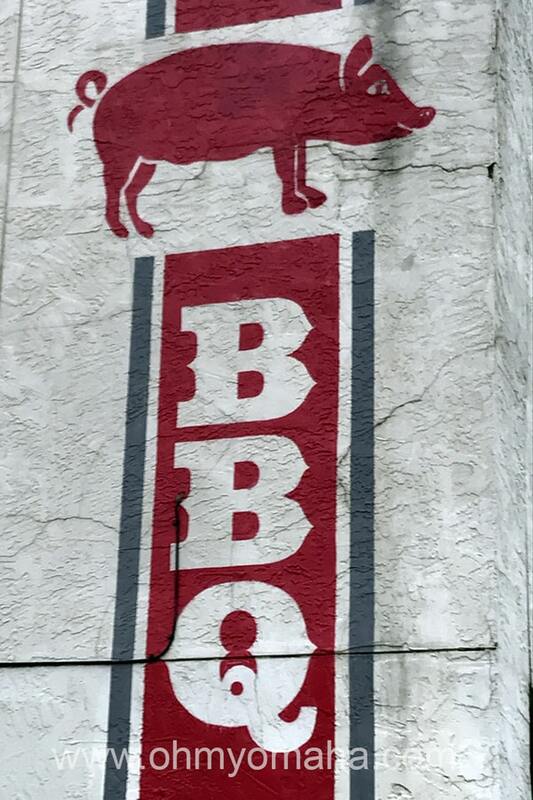 The exterior of Delano Barbeque Co. leaves no doubt to what you’ll be eating once you’re inside. The menu is seasonally inspired, so I can’t quite guarantee what you’ll be able to order. I can tell you that Natasha’s crew serves up a mean panini. For drinks, they keep some Kansas craft brews on tap. I opted for a raspberry ice tea, which was made just right (not too sweet, thankyouverymuch). It’s a great summer drink. The Kitchen is located by Union Station in downtown Wichita. Moms and dads who like local beer with good food, go earlier in the day to The Anchor. They’re known for a good lineup of 50+ craft beers on tap and this amazing thing called The Haystack. The Anchor is a more grown-up place to enjoy local craft beer and a burger, but there is a kid’s menu. It’s a pub, no getting around it. But, they have a kid’s menu, so they won’t snub families. And not just any thrown-together kiddie menu, but a solid burger served with fries, a fruit cup, and a Rice Krispie Treat. Not bad for $4.99. Botanica Wichita has been a game changer for me. I don’t often plan stops at botanical gardens (delicate flowers + trail-blazing kids = no bueno), but this place has opened my eyes: My kids loved it there. It helps that Botanica Wichita has an amazing children’s garden. Hands down, the best I’ve seen so far. 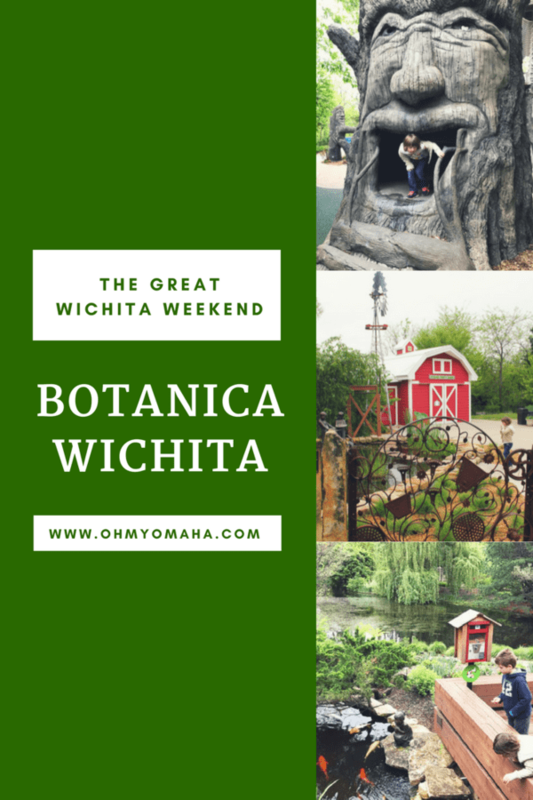 We visited Botanica Wichita on a spring weekend recently. Read about that fun weekend here. Our visit was hosted by Visit Wichita. 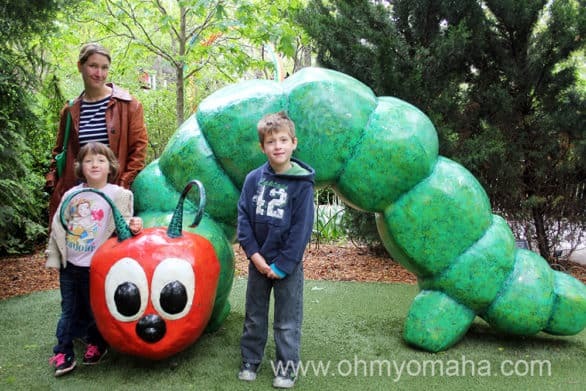 If you’re visiting Botanica Wichita with children, you simply cannot skip Downing Children’s Garden. Every turn on the path revealed something whimsical, delightful, and beautiful. The Monster Trees might have been my favorite part of all Botanica Wichita. There’s a yellow brick road at the entrance leading you inside, because…Kansas. 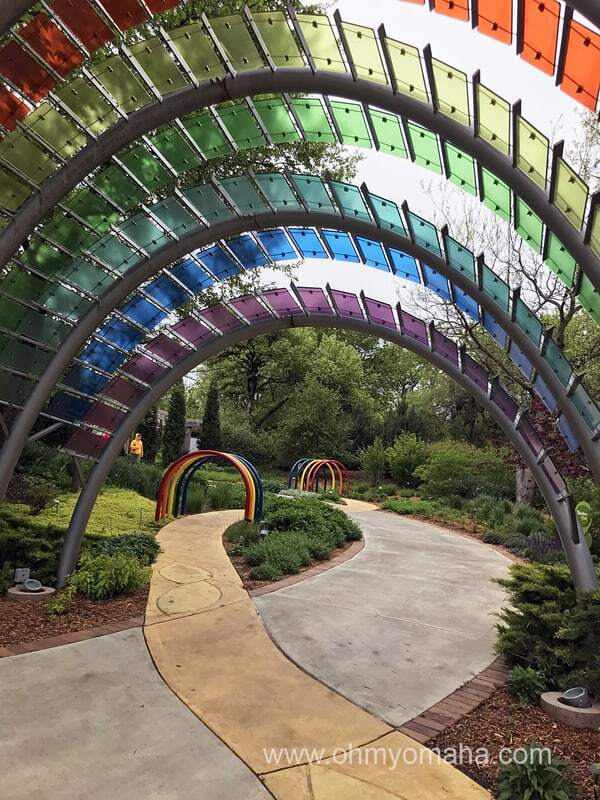 Follow the yellow brick road into the Downing Children’s Garden inside Botanica Wichita. This well-thought out space packs a lot into a little space. A nice touch is that there’s only one way in and out, so if your little explorer takes off, he or she won’t escape the area. 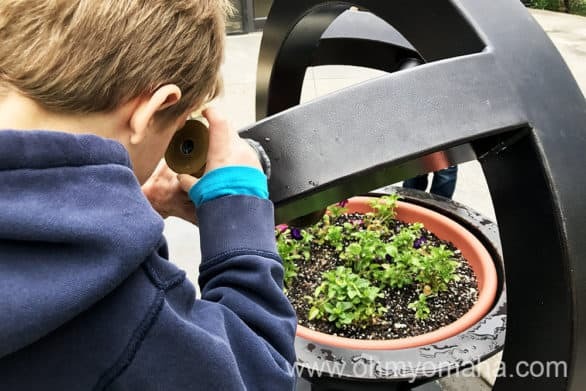 There’s more to discover at the Downing Children’s Garden than flowers, including digging opportunities to uncover animal habitats and pretend fossils. Cool places to explore include a water feature, tree house and monster trees…and that’s just one little part of the children’s garden. 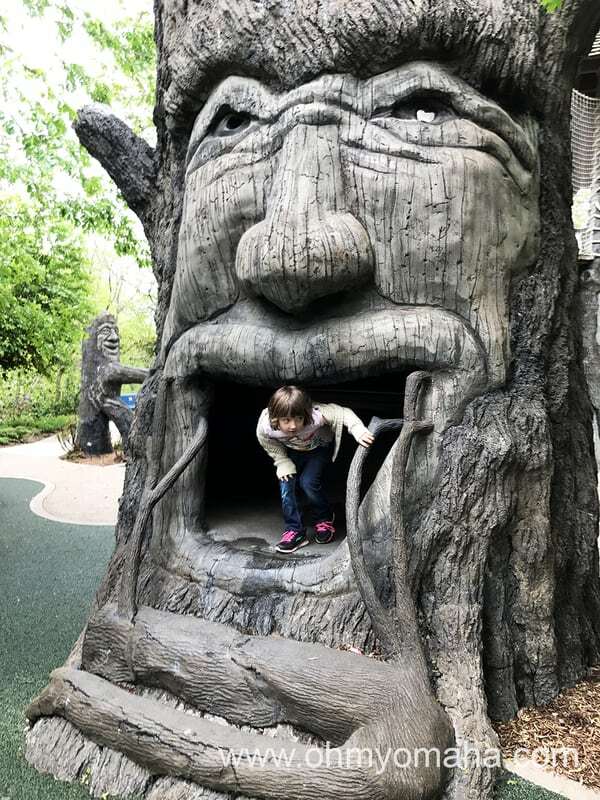 The tree house is right by the Monster Woods, two things you don’t want to miss at Botanica Wichita’s children’s garden. There’s a musical maze, ant hill, and party barn. Plus, a cute little enchanted spot with some favorite storybook characters. There are all sorts of cute touches that adults enjoy spotting as much as kids. A familiar character spotted inside the children’s garden at Botanica Wichita. If my kids had their way, we would’ve spent at least two hours in the Downing Children’s Garden. 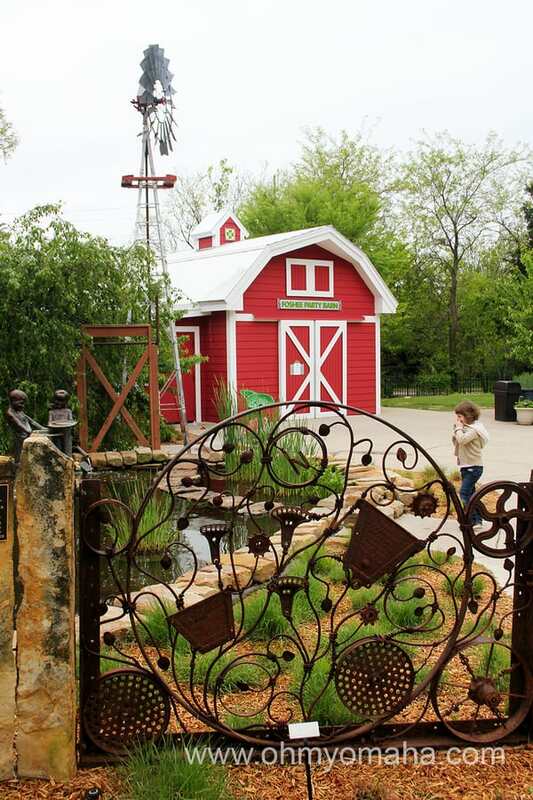 We hardly had a chance to explore the farm side of Downing Children’s Garden at Botanica Wichita. There are 30 themed gardens and exhibits over 18 acres. Don’t skip the seasonal train garden, which wasn’t running while we were there. Near it is the sensory garden, with the coolest natural kaleidoscope. Peeking through the nature kaleidoscope at Botanica Wichita. There’s also a butterfly house and a beautiful pond to explore. Bring some coins so your kids can feed the huge koi. I thought the spot where we fed koi fish was the most picturesque and peaceful place inside Botanica Wichita. Botanica Wichita’s newest garden is the Chinese Friendship Garden. It was enchanting to stroll through. 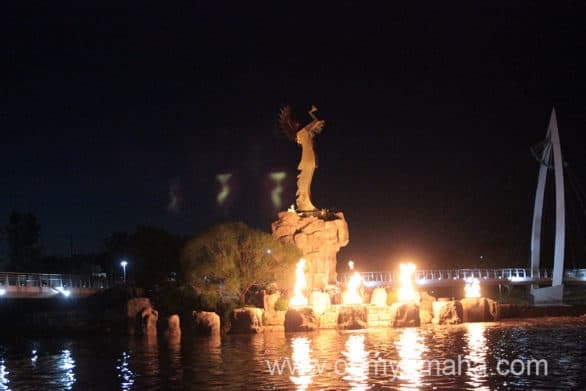 Our guide, Janet, explained the connection between Wichita and its sister city, and how many of the items on display – from scrolls to huge foo dogs – have significant meanings. 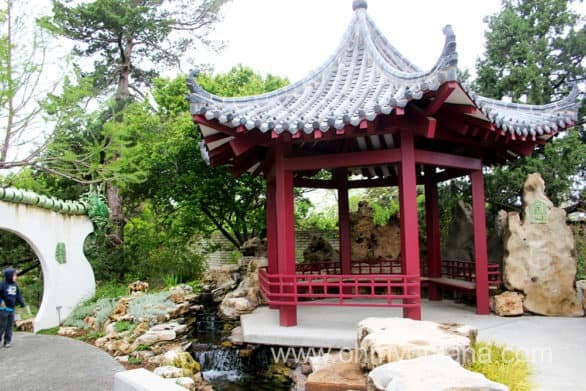 The lovely Chinese Friendship Garden was inspired by Wichita’s Sister City in China. Family-friendly tip: Botanica Wichita allows you to bring food in to have a picnic on the grounds. I saw tables inside the Chinese Friendship Garden and overlooking the koi pond. Both spaces look perfect for a relaxing lunch break. 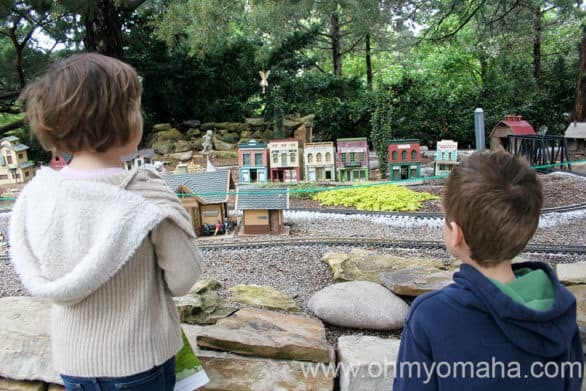 The miniature train wasn’t in operation during our early spring visit to Botanica Wichita. It’s runs seasonally. You’ll see garden beauty any time of year, but Botanica Wichita has some special events that you might want to note of. Spring – On a few afteroons in March and April, there’s an adorable event called Tulips, Fairies & Forts. Take Flight & Butterfly Festival is a special annual opening of the Butterfly House – the first 100 kids get to release a butterfly in the house. At the end of May, there’s the Family Night Hike. Summer – Summers are hopping at the children’s garden. In June and July, you’ll find drop-in activities on the weekdays from 10 a.m. to 2 p.m. Those are included with admission. There are also Creative Craft activities for an additional fee on Wednesday mornings. Thursdays in June from 5 to 8 p.m. is Family Game Night. Fall – Bootanica is a Halloween-themed event to look for. Winter – One of the biggest each year is Illumination during the holiday season. There are lights throughout the gardens, and the train garden has a Polar Express theme to it. Hours: Monday through Saturday, 9 a.m. to 5 p.m. (Tuesday & Thursday until 8 p.m.); and Sunday, 1 to 5 p.m.
Disclosure: Our visit was hosted by Visit Wichita, and Botanica Wichita provided complimentary passes so I could tell you about it. All thoughts, opinions and typos are my own.